Here at UnderU one of our favourite men’s sock brands are Happy Socks. We love their gorgeous packaging (no Christmas wrapping required!!) and their colourful bold designs, these are seriously cool socks. We all know that socks are the perfect stocking filler. They are practical but fun at the same time and every chap we know loves to receive them. We currently have a buy three get four promotion on all our collection. Simply use code Happy4 at checkout. 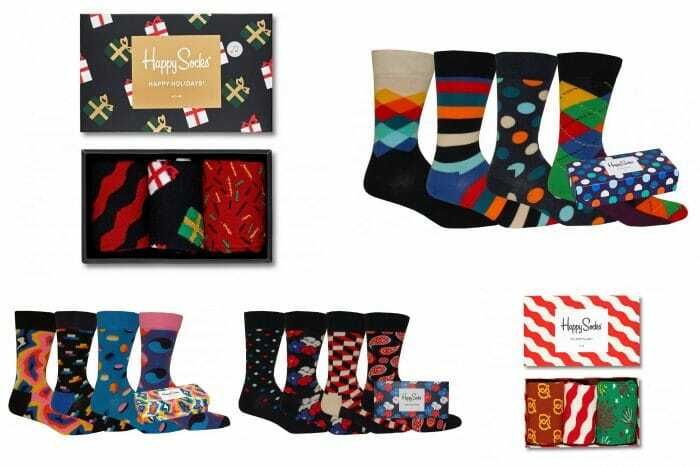 Happy Socks started in 2008 with the hope to turn an everyday essential into a colourful design piece. A focus on quality, craftsmanship, and creativity. Today, HS are sold in more than 70 countries and feature an endless variety of models and designs, using a broad spectrum of colours and original patterns.